Guest: Open Lines with Dr. David Livingston; Topics: Open Lines discussion on the upcoming SAS Conference, reusability, SSP, VASIMIR, fusion & more. Please direct all comments and questions regarding specific Space Show programs & guest(s) to the Space Show blog which is part of archived program on our website, www.thespaceshow.com. Comments and questions should be relevant to the specific Space Show program. Written Transcripts of Space Show programs are a violation of our copyright and are not permitted without prior written consent, even if for your own use. We do not permit the commercial use of Space Show programs or any part thereof, nor do we permit editing, YouTube clips, or clips placed on other private channels & websites. Space Show programs can be quoted, but the quote must be cited or referenced using the proper citation format. Contact The Space Show for further information. In addition, please remember that your Amazon purchases can help support The Space Show/OGLF. See www.onegiantleapfoundation.org/amazon.htm. Welcome to our Open Lines program for March 2016. During the first segment of our 1 hour 44 minute discussion, after opening announcements and my offering a few suggested discussion topics, Henry Vanderbilt called in to discuss the upcoming Space Access Society Conference from April 7-9 in Phoenix, AZ. You can find out more about the SAS conference and make reservations by visiting http://space-access.org/updates/sa16info.html. Henry did a partial review of guest speakers and panels, plus he talked about the progress made over the past 30 years on topics promoted by the SAS group. At one point Dr. Doug sent Henry an email question asking for his opinion of the Falcon 9 first stage recovery efforts regarding a GEO launch. Henry said that eventually SpaceX would be successful in the recovery but pointed out that he thought the recovery of upper stages might be more beneficial but also more challenging. Before the segment ended, I asked Henry what he felt was most exciting and rewarding to him given his 30 plus years of working for Space Access lower launch costs and other items now starting to happen. Don't miss his response to my question. In the second segment, John from Ft. Worth called in to talk about public-private partnerships, suggesting one might be a small space solar power (SSP) pilot or demo project. After our SSP discussion, John turned to fusion energy and VASIMIR. I asked if VASIMIR had been designated to receive stimulus money but John did not remember the details nor did I. We both hoped a listener would call in or post the details of stimulus funds for VASIMIR on the blog. I also asked him if he heard the recent show with Eric Lerner and his different fusion fuel producing little or no neutrons. John had not heard the that interview nor did have much to say about the LLP-Focus Fusion fuel of choice and research. Dr. Doug from S. California was the next caller. Doug first wanted to talk about comments from the recent Robert Walker interview dealing with NEO and asteroid impact. Doug promoted his ideas on size issues of concern, number of days needed for a warning, and evacuation. I challenged him on his evacuation ideas and suggested he do some solid research on how to evacuate a population and what it takes because I thought he was over simplifying it. I suggested their might be FEMA or other evacuation models which one could use as a guideline for a potential NEO impact. I also urged he listened to some of the past shows with the B612 group as they addressed early warning, evacuations, costs, and who pays the costs over several Space Show program. Doug next spoke about SSP saying it was not a technology we should invest in at this time. He provided an alternative for a pilot or demo project but said there were other near term technologies that could provide a better return for society and taxpayers. Before Doug finished his call, I asked for his thoughts on Eric Lerner's Focus Fusion project. Don't miss what he had to say about it. Prior to our program ending, I went over the upcoming weekly schedule with listeners. 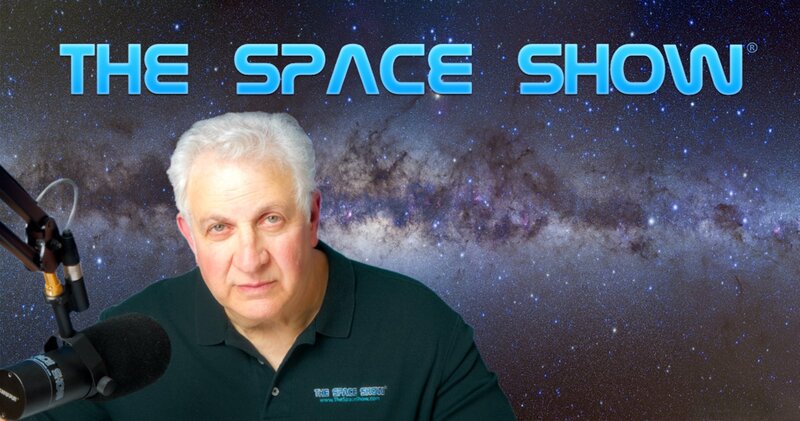 Please post your comments/questions in the comments section for this program on The Space Show archives. You can reach any of the callers through me at drspace@thespaceshow.com.